I was commissioned by Transport for Greater Manchester to create an illustration for their Metrolink Christmas campaign. 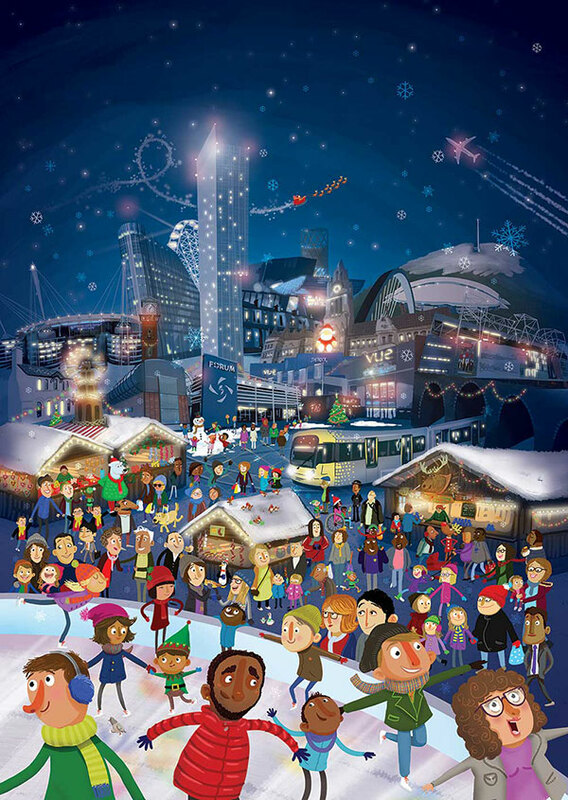 It’s full of Greater Manchester landmarks, a diverse bunch of characters, the odd elf and Christmas cheer! You can also see me in it enjoying a wurst. You’ll find the poster at tram stops throughout Manchester. Nicola has not submitted any more news.